Retreats are the best way to escape the “day to day” and supercharge your life. A retreat with Yax Yoga Concepts is an experience that is together, life affirming and life transforming. To step out of the weekly routine and experience life from a new perspective is essential to live the life of our dreams. Yoga, delicious food, nature, deep practice, and laughter realigns us with what is important. Don’t miss this experience to spend uplifting time with the Yax family. Relax Into Stillness: Stillness is not the absence of movement, it is the absence of conflict. When we are in resistance to the present moment, we are in conflict and struggle with life. When we can accept life in this very moment, it flows with lightness and ease. Come join us as we learn to Relax into Stillness and feel our lives unfold with skill and grace. Yoga-asana, meditation, wisdom-teachings, laughter, delicious food and great people combine to create the vessel to move us into the pure joy of being. Enjoy daily mediation and yoga during your stay in one of Bodhi Tree’s nature-centric spaces. 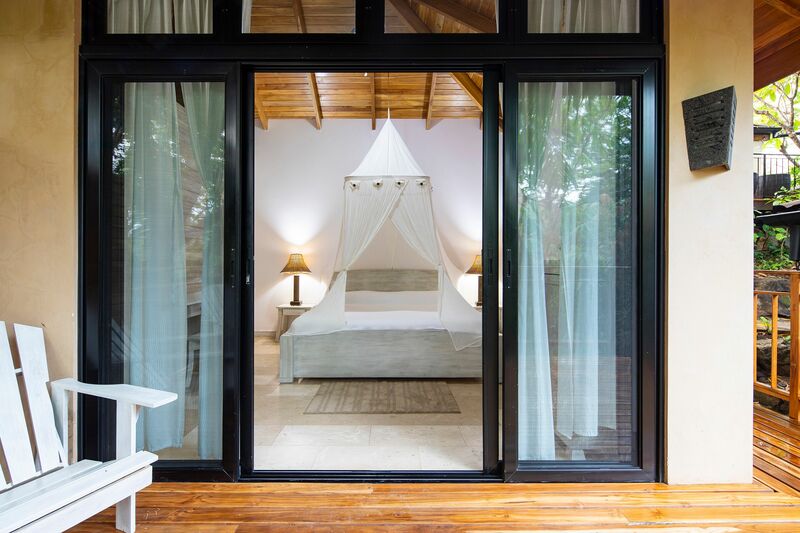 Sleep in a luxurious bungalow complete with private out-door seating. Your stay at Bodhi Tree includes three delicious consciously prepared meals a day. The above schedule has been updated. The overall schedule will be considered fluid and is subject to change throughout the week. Rates include 3 fresh & locally sourced meals daily, yoga and meditation classes, and resort taxes. Gratuity is not included. Register Here➡Click here https://bodhitreeyogaresort.com/stay/rooms to scroll through the beautiful King and Queen bungalow photos. Contact peggy@yaxyogaconcepts.com for more information.